Sisterhood pays tribute to Congregation Etz Chaim's legacy with a new outdoor sanctuary. 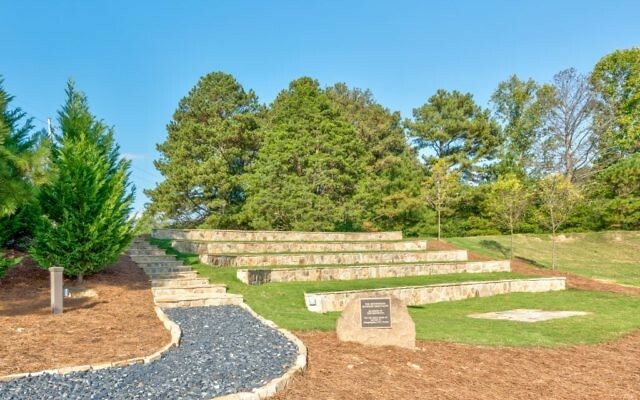 Congregation Etz Chaim has carved an outdoor sanctuary into a hill. Congregation Etz Chaim dedicated the Sisterhood Outdoor Sanctuary on Friday, Oct. 6, as part of the East Cobb synagogue’s Blue Jean Shabbat in the Sukkah program. More than 200 people attended the celebration, and the ruach (spirit) was palpable as joy emanated. The idea of an outdoor sanctuary was conceived during the previous year’s Blue Jean Shabbat in the Sukkah program. Instead of outdoor pews, Etz Chaim members sat on chairs in the parking lot last year. Rabbi Dorsch, then newly appointed, noticed that the hill near the sukkah looked like it had the foundation to be an outdoor sanctuary. Etz Chaim’s Sisterhood caught wind of his vision and acted to make it a reality by creating a congregational fundraiser. Jewish National Fund trees were purchased and planted to support the building of the outdoor sanctuary. It seemed natural to the board of trustees, the Sisterhood, the Men’s Club, and 3 Score or More or Less (a 55-and-older group) to dedicate the sanctuary to Bachrach, who served in his role for nine years in addition to serving as a synagogue president. The outdoor sanctuary evokes the spirit of summer camp to bring together the community. Rabbi Steven Wernick, the CEO of the United Synagogue of Conservative Judaism, said, “You brought camp to Etz Chaim” when he spoke at a program at the congregation in September. In an interview with the AJT after his appearance at Etz Chaim, Rabbi Wernick said he will be watching to see how the outdoor sanctuary is received and used, and he was enthusiastic about encouraging other communities to carry out similar projects to experience the joy and spirit of summer camp all year. Congregants approached Etz Chaim staff after the Shabbat service and expressed how meaningful the experience was and how they felt as if they were back at camp. 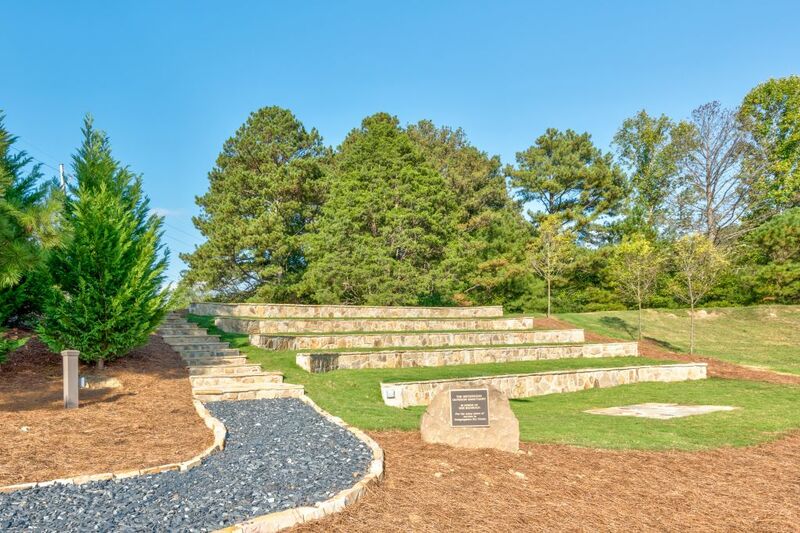 The outdoor sanctuary is the perfect example of bringing a community together to achieve a dream. Etz Chaim is playing host to Camp Ramah Darom on Friday and Saturday, Nov. 10 and 11, for Camp Ramah Darom Shabbat. The event is free and open to the community and provides an opportunity to pray in the outdoor sanctuary while getting a taste of camp.